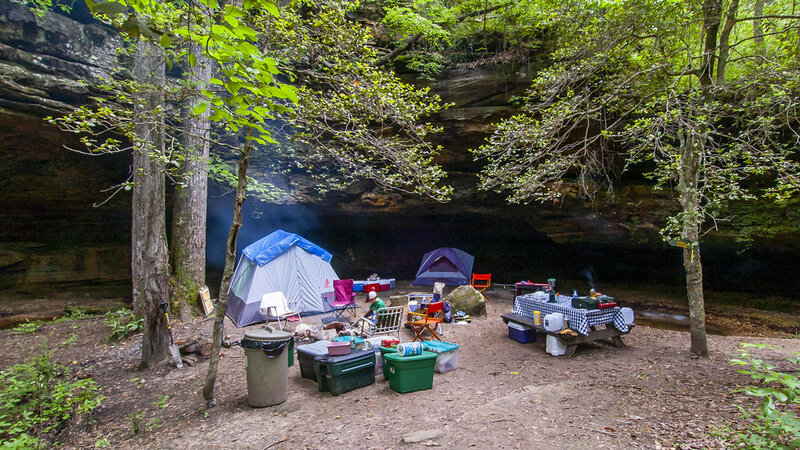 Scattered off the main path and given a wide berth from one another, Dismals Canyon primitive campsites offer the ultimate outdoor experience. The number of campsites is limited by design in order to maintain the splendor of the pristine wilderness. They offer privacy and convenience to the canyon. All campers have access to a modern bath house. "Sleeping Water" is an example of Dismals Canyon's popular campsites. It is a separate box canyon with its own waterfall and will accommodate up to 15 campers. A perfect site for retreats. *** refundable damage deposit (Applies to all campsites) required by check or cash - no credit cards accepted for damage deposit. Due to a problem of camp fires not being extinguished, we have been forced to implement a $50.00 refundable damage deposit for campsites. Campsites will have to be checked before damage deposit is returned. We have to implement this policy, or eliminate camping. One fire could destroy Dismals Canyon. Fires in fire rings and grills only. Fires must be attended at all times, and must be completely extinguished before the campsite is left unattended or vacated. If a No Fire Warning has been issued, anyone building a fire will be reported to the Forestry Service and immediately evicted from Dismals Canyon with Forfeiture of all fees. One fire could destroy Dismals Canyon. Our forests are natural treasures, please follow leave no trace ethics that encourage planning ahead, staying on the marked trails, placing trash in receptacles and leaving the area as you found it. Additional outdoor ethics are to be careful with fire, stay away from wild animals, maintain control of your pet and be kind while sharing the trail with other visitors. Reservations can be made for ALL campsites. All campsites have fire rings and a trash bin. It is not possible to drive up to any campsite - you must hike a short nature trail to each site. See map above. We do not offer RV or pop-up camper sites. Camping permitted on WEEKENDS ONLY from Labor Day to Memorial Day. Camping permitted 7 DAYS A WEEK from Memorial Day to Labor Day, and requires a 2 night minimum stay. Camping Concierge Service: For $75.00 our staff will carry your gear to your campsite, help set it up & upon departure will take your gear back to your vehicle. No Camping AND Cabin reservations permitted for the same dates. Camping permitted 7 DAYS A WEEK from Memorial Day to Labor Day. Reservations may only be made by credit card - Visa, MasterCard, American Express, Discover accepted. The total charge for your camping reservation will be billed to your credit card at the time the reservation is made. Scout leaders may reserve the Scout Camp Site (except on Holidays) with a $50.00 deposit. The balance of the camping and admission charges to be paid in full at the time of arrival. Cancellations affect us significantly because of our size. Therefore, we adhere to a strict cancellation policy. Cancellation of a confirmed Camping Reservation must be made at least 30 days prior to your arrival date, except on Holidays. Holidays require that the cancellation be made within 45 days of the date of arrival -- holiday covers 5 days preceding the holiday and 5 days following the holiday. Cancellations, regardless of the reason, made within 30/45 days of your arrival date will result in forfeiture of your total deposit, less cleanup fee & damage deposit. NO CANCELLATION is allowed for any reservation made less than 30/45 days in advance. All reservations/deposits are non-transferable to another date. However, you are welcome to send a friend or family member in your place. All reservation cancellations are subject to a $50.00 administrative fee. You may check in any time after 3:00 pm at the Dismals Canyon Country Store. All campers & Cabin guests must check in by 5 pm Sunday-Thursday & by 8 pm on Friday & Saturday or incur a $25.00 late check-in fee. Check-out time is 12:00 noon. There may be occasional check-in delays during times of heavy departure. Our staff will do everything possible to minimize inconvenience and to make you comfortable during that time. No refunds will be given for early departures. Violation of any rule will result in immediate Eviction and Forfeiture of all fees/deposits! Dismals Canyon is not responsible for accidents / injury / loss of money / valuables! The Pool & Canyon Floor closing times vary. Please check closing times upon registration. All visitors must register at the Country Store. This includes anyone who visits your campsite. One vehicle per campsite is allowed at campsites across Highway 8 - Sleeping Water, Dead Water Bluff and Creek sites 1,2, & 3. All other vehicles must be parked in the overflow parking area across the bridge on Hwy 8. Vehicles must stay on designated roadways at all times and can be driven only to enter and leave an area. Park in designated areas only. DO NOT drive or park on the grass. NO off-road vehicles, including but not limited to motorcycles, minibikes, 3/4 wheelers, etc. are permitted to be driven anywhere on Dismals Canyon property. No hammocks, no cloths lines, no tarps, etc. & no driving/screwing objects into trees allowed at any campsite or in the Canyon. 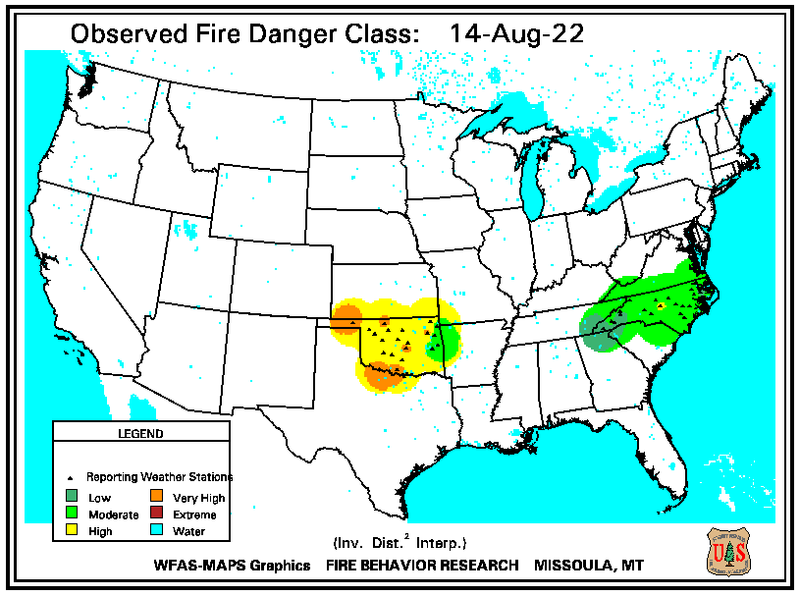 Only deadwood on the ground may be collected for firewood. NO cutting of trees/NO Chainsaws. Please DO NOT bring your own firewood. This is to protect our forest from invasive disease & insects. DO NOT collect or disturb plants or wildlife. Children under 16 must be attended at all times by an adult. Swim at your own risk. NO lifeguard provided. An adult must supervise children. NO firearms, fireworks, airguns, BB guns, explosives, bows & arrows, or any other firing device. Campsites must be kept clean and litter free. Trash/garbage must be placed in waste receptacles. NO walking around with alcoholic beverages. QUIET HOURS: 11:00 P.M. to 7:00 A.M. Anyone who leaves their gear in a campsite past 12:00 P.M. without the prior approval of Management will be charged for an additional night and the gear will not be released until the bill is paid in full. Do not put trash, etc. in flowerpots or flowerbeds. Do not walk or play in flowerbeds or flowerpots. NO REFUNDS for bad weather or early departure. NO EXCEPTIONS!